For many, the splendor of a long-awaited spring evening can be blighted by a squall of snot and itch brought on by seasonal allergies. 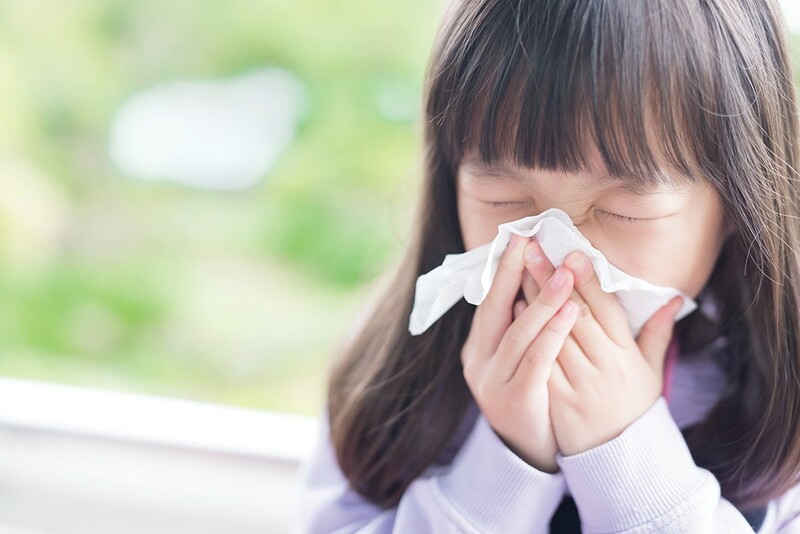 Although babies can have allergies to food and pets right out of the chute, typically it takes four to five years of exposure to grasses, weeds and pollens for them to develop those allergies. As I understand, it has something to do with the larger sizes of the sensitizing proteins. I have been asked by many if there is any truth to the possibility that eating local harvested honey could help reduce susceptibility to seasonal allergies. This is a nice idea. Perhaps the honey would be like an oral version of an allergy shot, a small dose of the inciting allergen to help reduce reactivity. Unfortunately, bees do not seem to collect enough pollen from the most common offending agents like grasses, weeds and trees. It is fortunate that there are numerous options, both over- and under-the-counter to bring relief to the congested, sneezing, rubbing masses. Avoiding triggers is the first line of defense, but this can be tough. Few of us can migrate seasonally, or stay inside when the sun and warmth beckon. Filtering out allergens through frequent washing of clothes and sheets, and the use of HEPA filters on the air system at home, can help. Consider swim goggles for mowing the lawn. A third approach is washing away intrusive allergens by blowing your nose and, even better, by using nasal lavage. Purchase an over-the-counter kit that contains a plastic bottle and some saline packets, and blast the boogers and triggers from the nose and sinuses. It is no surprise that this can be a tough sell to kids. Antihistamines like Zyrtec, Claritin and Allegra work by trying to simmer down the body's response to allergic triggers. Depending on the severity of the riot, these medications may be just enough. Think of them like the Red Cross. Sometimes a blanket and some coffee are all that is needed to take the edge off of a tense situation. The next level of defense, more like the Army Reserves, includes over-the-counter options like Zaditor eye drops to stabilize mast cells, keeping them from delivering their payload of histamines. Or prescription options like the antihistamine azelastine for the nose, or the prescription montelukast, a medicine that tries to cut off communication to front-line tissues. But to really bring peace in a time of crisis, we need to bring in the Jimmy Carter of allergy medications — nasal steroids. Fortunately many of these are now over-the-counter and really are the most effective, although like Jimmy Carter, they take time to work, and work best in advance of shots being fired. Sometimes the tissues of the nose are so irritated due to allergies that nasal steroids can cause nose bleeds. A few days of a nasal saline spray gel morning and night can disarm the tissues some so Jimmy can roll in and get to work. For some people with severe allergies, allergists can provide injections that in essence make the mast cells less susceptible to keys that previously opened them. There is progress being made in adults by delivering these therapies orally, but for now kids are stuck with shots. Dr. Matt Thompson is a pediatrician at the Kids Clinic in Spokane.